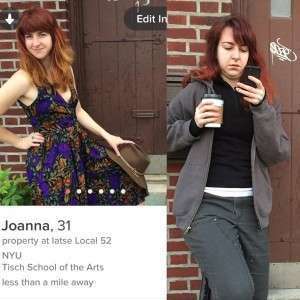 The hashtag’s full meaning is “How I look on Tinder” vs. “How I Look at Tinder” to expose the truth behind the photos we select for the mobile dating profile, as compared to how perfect we try to look to guarantee a right swipe on dating apps. #OnTinderAtTinder went viral and the submissions are still pouring in. 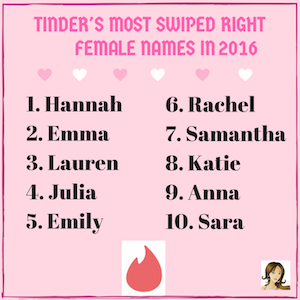 We all put forth the best, most swipe-able versions of ourselves online, according to Bustle, and I don’t disagree. While you work hard to present the best possible pictures of yourself on social media, and especially on dating apps, it’s important to remain genuine and real. Since you can select the best 6 photos from Facebook, and now from your camera roll as well, we’ll leave the swiping frenzy up to you. Posting any photos online, whether it be on Facebook, Twitter, Instagram, or even Tinder, you should take the extra care to look your best. From choosing the right angle and proper lighting to picking the perfect filter (or sometimes multiple filters), you need to constantly make sure you’re putting your best digital foot forward. This new movement of honesty is a gentle reminder to be “just you” on social media, while still poking fun at the striking difference between our online and in-person appearances. This viral hashtag sheds light on the fact that singles don’t show who they really are online. 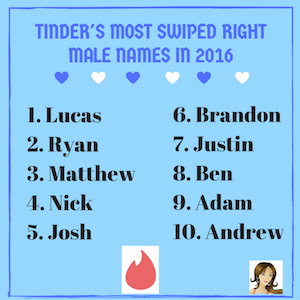 It also pokes fun at the superficial premise of Tinder. With over 10 million members, over 9 billion matches and over 16 million swipes per day, now you can see your potential date in real time and decide if the real Tinder pictures are worth swiping right on, or not. Then again, it’s sill the quickest way to fill up your date card for Valentine’s. Julie Spira is America’s Top Online Dating Expert and Digital Matchmaker. She was an early adopter of the Internet and is the CEO of CyberDatingExpert.com. Julie and her team create Irresistible Profiles for singles on the dating scene. For more relationship advice, sign up for the free Weekly Flirt Newsletter.